Welcome to the Texas Sodium Bentonite, Inc. web site. If you're looking for information on one of the most effective, low cost methods of treating porous soils, you have come to the right place. Sodium bentonite is a natural sealant and is environmentally safe with no chemicals, no additives, and nothing toxic. Other uses of sodium bentonite include: drilling mud, clumping cat litter, bonding agents for feeds, medicines, cosmetics, foundry industry, pesticide carrier, and many, many more. It is currently being tested for absorption of the E-Coli bacteria in foods. How Can I Learn More About Sodium Bentonite? 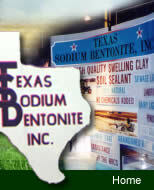 At Texas Sodium Bentonite, Inc. we offer free literature and also provide consultation visits upon request. We can perform soil testing as well. We work with professional bentonite distribution contractors and can help you determine the best applications to fit your needs. With our various locations in Texas, we are well equipped to serve you wherever you are. 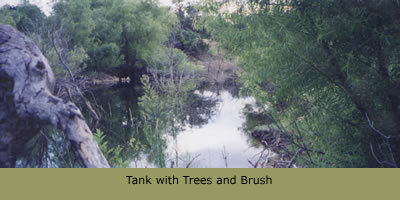 Texas has over 900,000 ponds with over two-thirds of these privately owned ponds, stock tanks and lakes. These ponds provide a source of water for humans, livestock, wildlife, crops and fish. For these reasons most pond owners should be concerned about the amount of water maintained in their pond. Throughout the course of a year, a pond's water level (even those without a leak) will drop because of evaporation, seepage, and withdrawals for household use, livestock watering and irrigation. Evaporation is surface water lost to the atmosphere. In a dry year rainfall may not replace the amount of water evaporating from the pond's surface. Seepage is water lost through the soil. Well-constructed ponds with good soil may lose one inch of water per month to seepage. 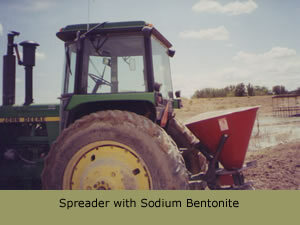 Sodium bentonite is EPA approved for use as a pond sealant. Quality sodium bentonite is so effective, it can take up to 12 times the amount of other clays-including calcium bentonite-to do an equivalent job using sodium bentonite!